I took a long, hard look at myself recently. It wasn't pretty. In fact, it was pretty shocking. I realized that I barely recognize myself anymore. In some ways, it's great - I'm braver now, more willing to take chances, and sure of where I want to go. But in some ways, it's really scary. I'm overweight. I'm unhealthy. I'm out of shape. I don't remember the last time I had an unhurried talk with God - just talking with Him, with no agenda but being with my Father. I've finally "found myself" now, in my 30's, and to be brutally honest, right now I don't like the person I am. I'm not who I want to be. What do you do when there's a big discrepancy between where you are and where you dream of being? In my dreams, I see what I want to be: I'm a writer, with books already published and more on the way; I'm a runner, competing in half-marathons; I'm healthy and at my ideal weight; I'm focused on God, with regular times of prayer and deep Bible study; my life and home are organized and peaceful. If you're anything like me, the season leading up to Easter can be chaotic. As a pastor's wife and kids minister, it's sometimes hard to slow down and focus on the meaning behind this season. 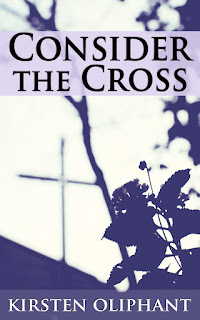 I have a great solution - Consider the Cross, a devotional for Lent, from my friend Kirsten Oliphant. 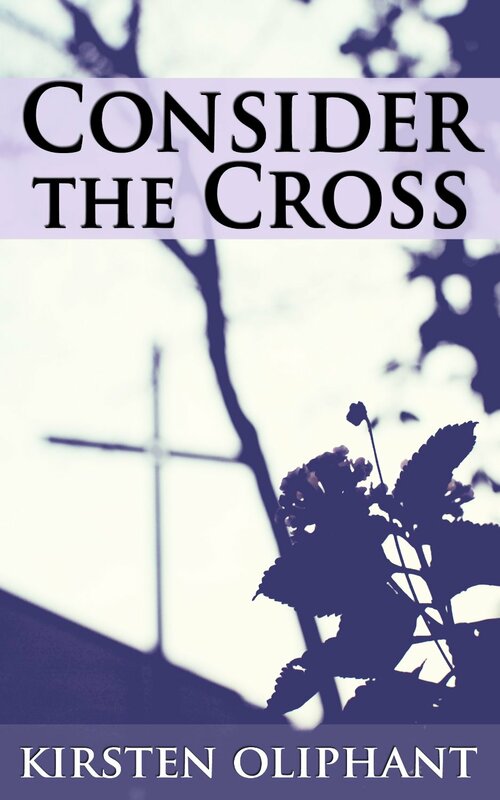 These devotions are perfect for this busy season. These can easily be read in just a few minutes, but the truths from them will stay with you throughout the day. Kirsten also includes some great questions that are perfect for journaling. I highly recommend this book! Last week was a wake-up call for me. The woman who prides herself on not going to the doctor until she's half-dead, was there twice. Two days in a row, to be exact. It wasn't pretty. I saw my weight, which was horrifyingly high. My blood pressure was spiking. I had a bad case of vertigo. I felt horrible. I found myself sitting in the office, talking to the nurse practicioner, and I thought, "What am I doing to myself?" My health has gotten totally out of hand. Something has to change. 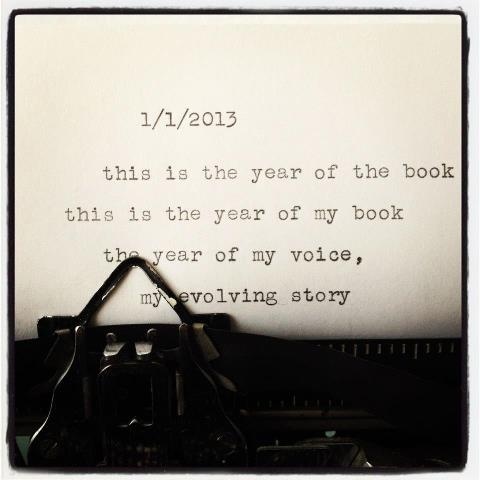 Everything has to change. 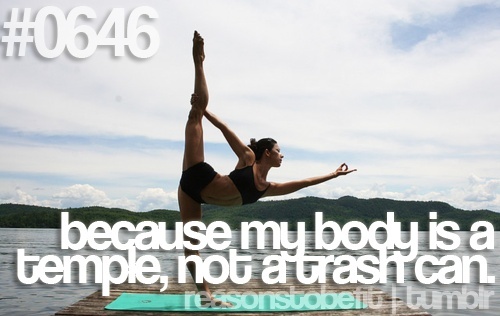 I've treated my body as a trash can for too long now, and I'm paying the price for it. It's time to make some major changes. I know that change won't happen overnight. I know it's going to take some time to repair the damage, lose the weight, change my eating habits, and feel better. I also know that I have to start somewhere. So once again, I'm starting where I am. I'm doing Claire's febYOUary challenge at Peak 313 fitness. I'm tracking my eating habits again on My Fitness Pal. (I'm here if you want to add me as a friend: http://www.myfitnesspal.com/graceinourmoments ). I'm reassessing my goals and what I need to be focusing on. It's time for change. This time next year, I want a lot of things in my life to look different. It's time to make a plan, then make it happen. When You Need to Say "No"
It's hard to decrease anything in my life right now. I have a never-ending list of people and things clamoring for my attention - college assignments and projects, planning for children's church lessons, church events, cleaning, working out, writing - the list goes on and on. Some things are going to need even more attention the next few months, like studying for my dental hygiene national boards and focusing more on my health. Everyone on my list is important and everything needs my attention, so how do I decide what to drop off? It's a tough decision to make. Somehow, I've found time to work on my writing. I've found quite a bit of time, actually, but I have given up some things. I don't read much anymore, except for my Bible. That's hard for a bookworm like me. I have a ton of books on my Kindle, just calling my name, but I've tuned them out so I can work on a God-sized project of my own. (Although as soon as the next Steven James book comes out, I'm making an exception - I'll drop everything else and read non-stop. I've been waiting on The King for months!) I don't watch much TV, except for a couple of shows that I'm truly hooked on. I don't sleep a whole lot - I've pulled off a lot of late night writing sessions, and I've also gotten up extra-early more than once. This may seem like a strange thing to give up, but I've started turning my radio off in the car a lot more often. I love music, and I usually have a Christian radio station blaring anytime I'm in the car. Sometimes I'll listen to podcasts that are relevant to what I'm working on. Other times I'll just use my drive time to brainstorm ideas or work out scenarios that I'm stuck on. Sometimes, that half-hour commute is the only true quiet time I get in my day, so it makes sense to use that time for deep thought or daydreaming new ideas. 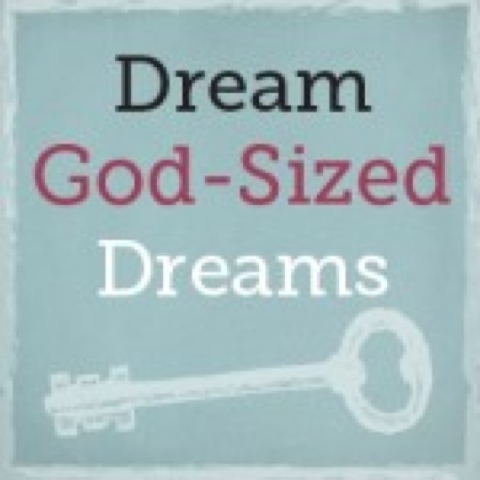 Honestly, since I've started chasing after this God-sized dream, I find myself thinking about things differently. I look for ways to carve out time for writing. I spend more time learning about writing. I've pretty much let my other hobbies go to focus on this single dream. I find myself getting lost in this whole process, but I love feeling that way. 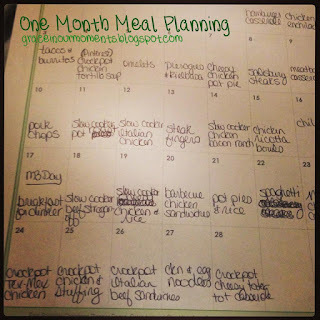 Can You Really Plan a Month of Meals? Would you get excited if I told you that you could pull together a grocery list in just a few minutes each week? Would you breathe a sigh of relief if you knew what was for dinner every single night for an entire month? Do you think it's impossible? 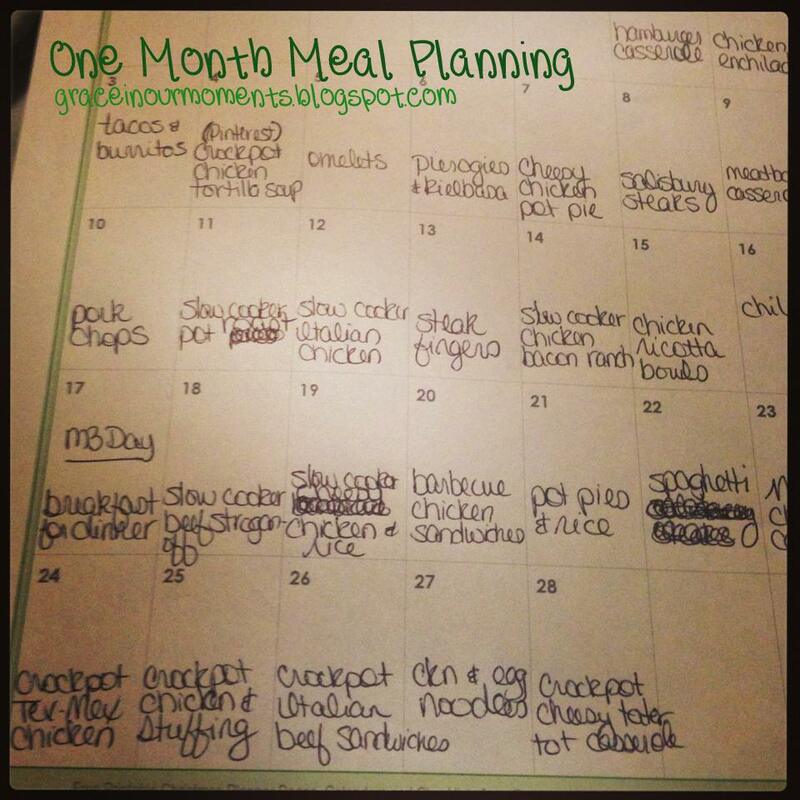 Monthly meal planning may sound completely overwhelming, but it's easier than you think. I used to think I could never pull it off, but I'm on my third month now, and I love it. My time is very limited, and having a long-term plan makes the weekly chore of shopping so much less stressful. It also give me more time to coupon and work around sales to get the best deas. It takes some extra time up front, but the time it saves every week and every month is worth it. Ready to try it? 1. Make a list of all the meals your family already likes and eats regularly. There are probably a lot more than you think! 2. Pull out cookbooks, magazines, and recipe files. Flip through them for recipes you've forgotten or always wanted to try. Add your finds to your favorites list, and start a second list of new recipes to try. 3. There are probably a few meals you can make a double batch of, then serve leftovers. For instance, you can use shredded leftover chicken for enchiladas, nachos, soup and more. Meatballs from spaghetti night can go into sub sandwiches. Extra soup or chili can be frozen for later. Take advantage of bulk cooking. 4. Plan around your schedule. Do you work late one night a week? Put dinner in the crockpot before you leave in the morning. Do you have extra time to cook another night? Plan a more complicated meal for that night. 5. Consider creating a theme for each night - for instance, Monday: crockpot, Tuesday: Mexican, Wednesday: chicken. This might make it easier to plan, especially when you're just starting out. 6 Use a printable calendar, like the ones available at Organized Home, and start filling in your meal plan. Be sure to include a couple of nights each month to try new recipes. The first month will involve a little trial and error. By the second month, you'll find yourself getting things together much better. Once you get the ideal meal plan down, you can copy it month after month, making adjustments for holidays, changing seasons, etc. If you need more ideas for recipes, check out my Pinterest Recipe board for some of my favorites. For a super-easy start, try crockpot Italian chicken, a new addition to our family's "favorites" list. I'm a chicken. There, I said it. That's the biggest challenge I'm facing in chasing my God-sized dream of writing. I'm going into this dream scared absolutely out of my mind and doubting myself a lot. I am my own biggest obstacle in this thing. A few months ago, when all this crazy dreaming started, I looked up a link-up that I remembered from a few years ago - The Red Dress Club. (Now its called Write On Edge.) Each week, they post a prompt, and you have a maximum of 500 words to tell a story based on that prompt. That very first week, the prompt reached out and grabbed me. It was perfect for the ideas I'd been toying with for so long. I spent two days working on my piece, agonizing over every word. Then, finally, I posted it to my blog, using a pen name because I was so afraid it would be bad, I didn't want my real name on it. That was several months ago, and not much has changed. This huge dream still terrifies me. I still doubt myself every single day. I'm still terrified every time I finish a post and hit "publish." I'm still afraid of what people will think when they read it - I mean, let's face it, there's a pretty big dichotomy between writing a faith-based, working mom blog and writing about fictional detectives and serial killers. I still wonder if this dream can become a reality. I still wonder if I can really see my books in print one day. I think of all the fantastic authors out there, all the great books I've read, and I wonder, "What am I thinking? There's no way I can write like that." 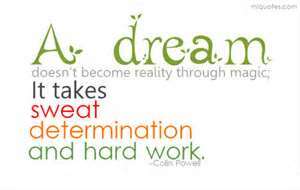 Then I remember the truth: this isn't my dream - it's His. It's a God-sized dream. It's something a whole lot bigger than me, from Someone a whole lot bigger than me. It's a dream that's been whispered to my heart for a very long time. I spent years thinking, "I wish I could do this," until God told me "It's time." He spoke to me, clear and strong, and confirmed it through more than one person. So I'm going to keep dreaming. Is it crazy? Yes. It's the craziest thing I've ever done. But I believe, deep down in my heart, that if God called me to this crazy dream, He's going to do things I could never do on my own.